2019 On-Line Registration: REGISTER HERE! Entry Includes: Receiving one DUCK RACE TICKET, short sleeve tech shirt & one Free 12 oz Beer at our “Co-Host” local breweries. Also, enter drawing for fun prizes! Add $7.00 to entry cost from May 1st to race day registration. Register early! 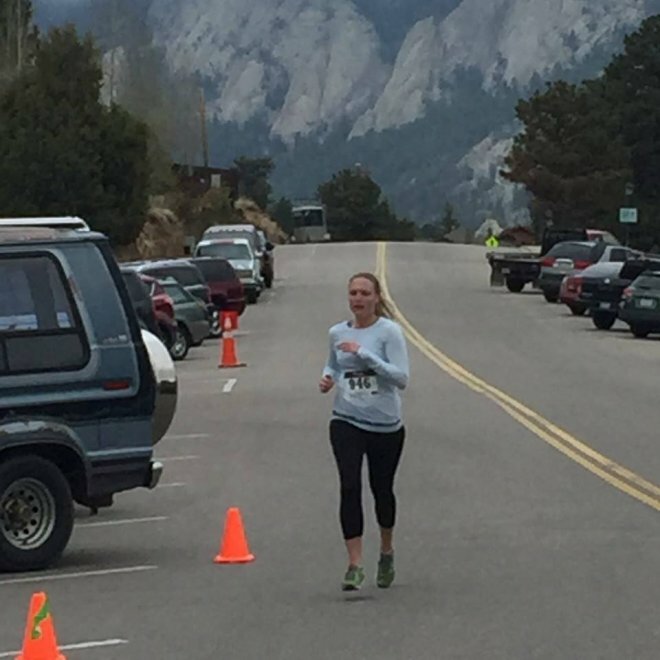 Pre-Race Day Packet Pick-Up: Race packets will be available to pick up from MedX of Estes, 158 First Street, Estes Park. May 3rd, Friday, 8AM – 5:00PM. All abilities are welcome – Runners, Walkers, Strollers and group friendly pets! 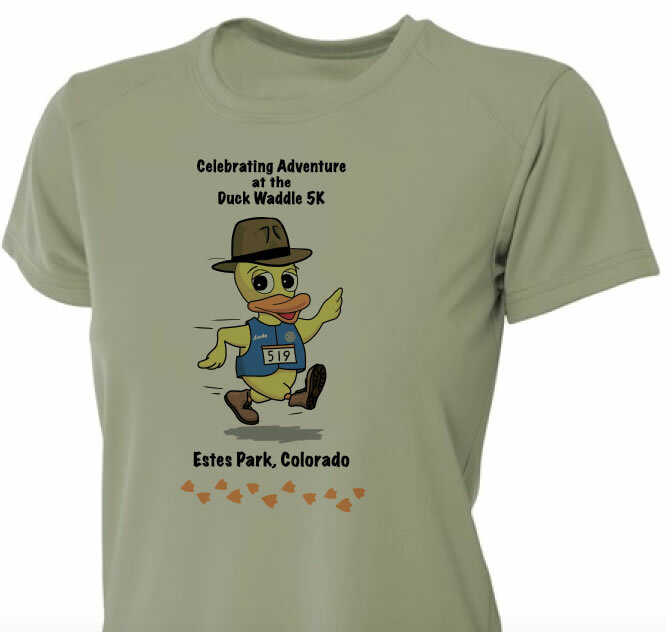 Please choose Estes Park Running Club #35 for your charity of choice on your Duck Registration Form ! 2019 Grand Prize: Redeemable Cash $5000. Eligible for choice of 3 exciting Trip Prizes to National Parks with lodging and expenses included! Each trip includes a $1000. 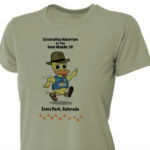 cash voucher for expenses from the Estes Park Duck Race. 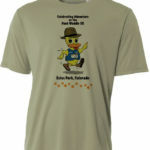 Additional prizes given to Duck Race top finishers, too! Additional Duck Race Adoption forms available at packet pick-up, race day registration or on-line. We encourage participants to adopt (purchase for $20.) an additional DUCK to increase their opportunity to win generous prizes! 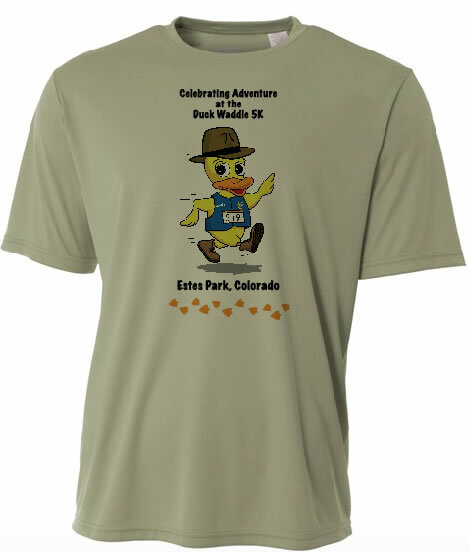 PURCHASE A PACK ONLINE: ADOPT CHARITY #35 DUCK HERE! 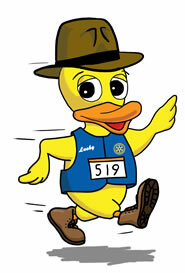 This spring time foot race kick-starts the Estes Park Rotary Club’s DUCK RACE FESTIVAL! The DUCK WADDLE 5K race begins at east side of Bond Park at Elkhorn Avenue. Each runner and walker will follow the scenic Fall River path and return along Wonder View to Town Hall/ Bond Park finish line. 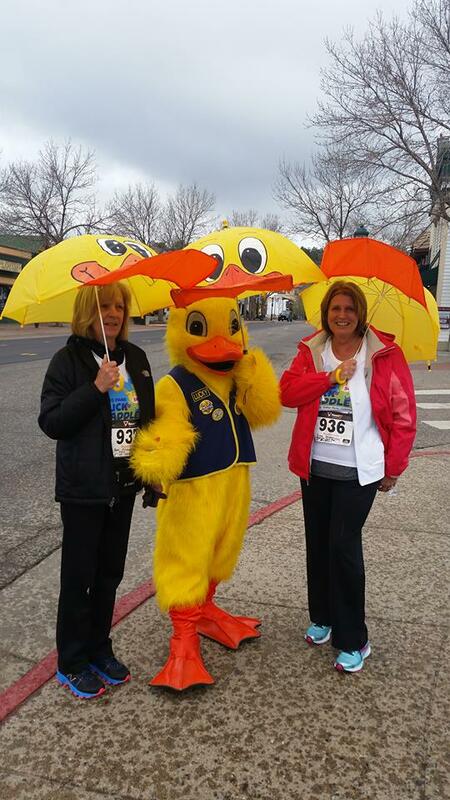 The DUCK WADDLE 5K foot race welcomes all abilities and those wanting to have a ton of fun at the festival! Following the race, live music and festivities are held at Riverside Plaza. At 1:00pm is the rubber DUCK RACE, starting at Nicky’s Restaurant on Fall River and finishing at Riverside Plaza. 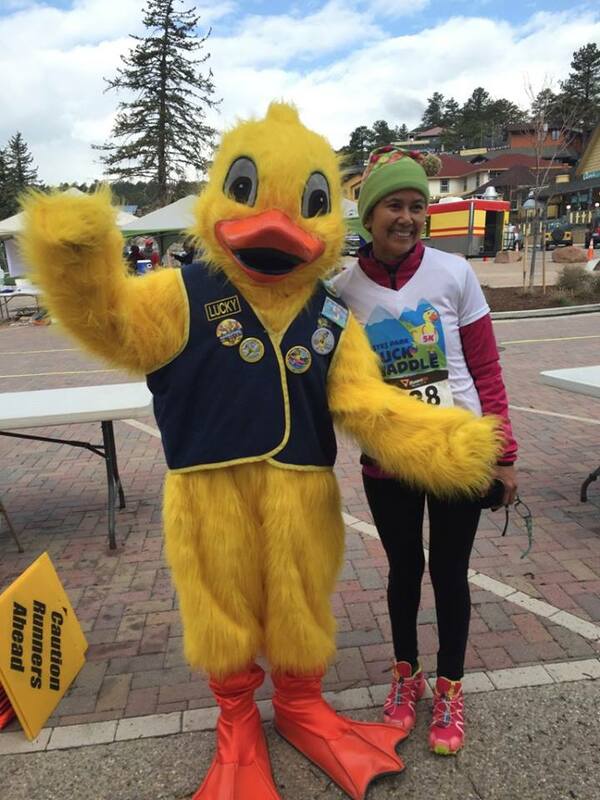 Run with us and you will automatically adopt a rubber Duck to float down the Fall River. 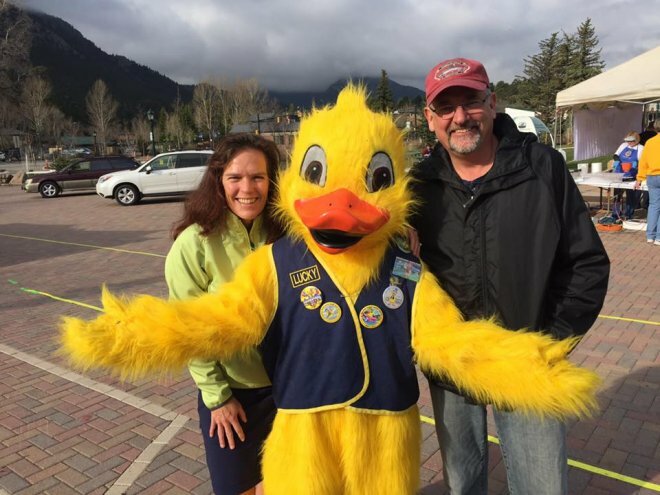 The DUCK RACE is a major fundraiser for 67 charities in Estes Park. With each Duck adoption, $19 will go towards a local charity of your choice. 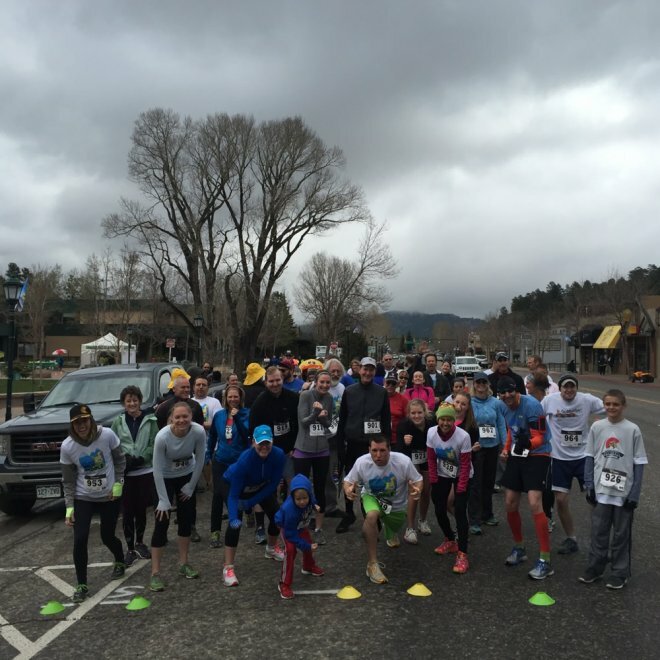 The Estes Park Running Club is one of those charity groups, #35 on the adoption form. Selecting the Estes Park Running Club will allow our group to receive funding and ability to disperse to local youth programs in Estes Park. You don’t have to RUN, to purchase a DUCK racer, use link below. 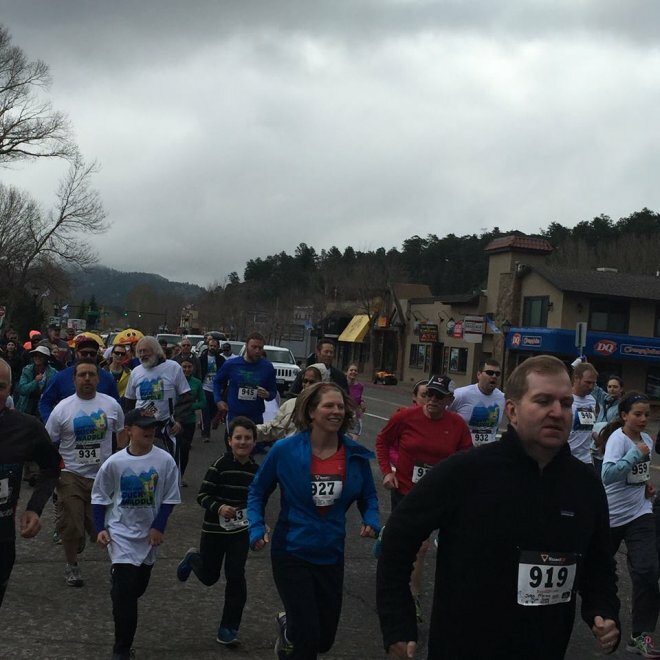 Join the fun and help make a difference for many charities in Estes Park, Colorado!